With its name translating as “very beautiful”, a smart new salon in Burcot is dedicated to making its clients look and feel just that. Bellissimo, which recently opened above the photography studio on Alcester Road, also offers clients beautiful surroundings in which to relax and be pampered, with its contemporary decor, quiet location and warm, friendly ambience. 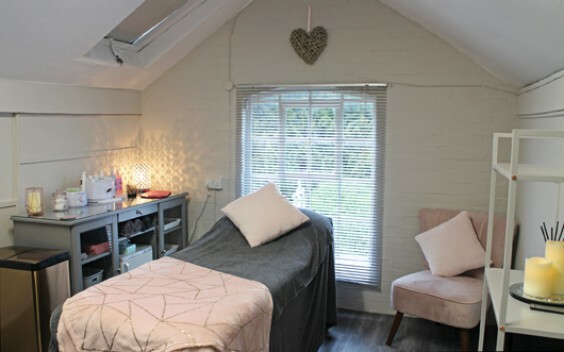 Owned and run by local qualified beautician Georgia Yates, the studio provides a personal and professional service and a wide range of treatments – perfect for getting ready to party this Christmas! Treatments include Gelish nails, luxury manicures and pedicures, eyebrow and lash tinting, waxing, and Sienna X spray tans, or you could choose to relax with a massage. More services are planned for the new year. Georgia has also introduced the relaxing paraffin wax treatment for hands and feet. This is usually used in combination with a manicure or pedicure, and the warming mixture of paraffin and mineral oils helps to soften rough skin as well as soothing aching joints and improving circulation. Various treatment packages are available, and don’t forget the gift vouchers to treat someone special at Christmas or any other time! Georgia looks forward to welcoming new clients to her studio with monthly offers – keep an eye on Bellissimo’s Instagram and Facebook pages.